The Ryze Tech Tello Quadcopter Boost Combo lets you shoot over longer periods of time, as it comes packaged with three batteries, instead of one, and a 3-battery charging hub. Each battery will power up to 13 minutes of flight on a full charge. 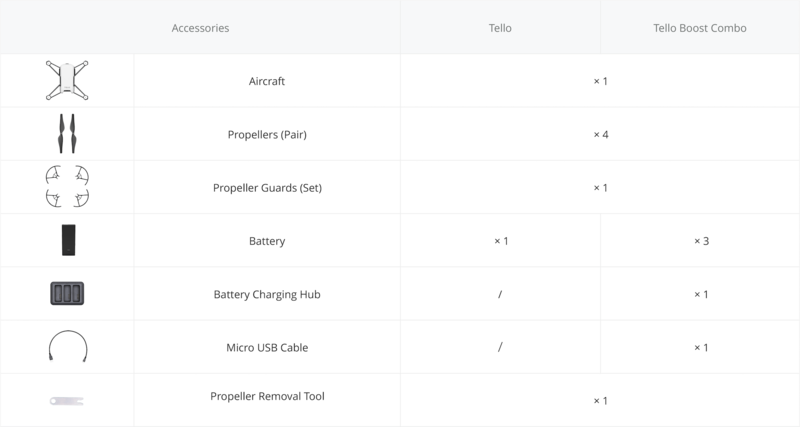 The Tello drone's tiny form factor and smart Intel processor enable it to perform exciting aerial tricks on a whim, all through smartphone control. Download the free Tello app and get going, with intuitive controls for entertaining flying maneuvers.